Liverpool is a city which is constantly changing and evolving, breathing new life and fresh ideas into its spaces and places. 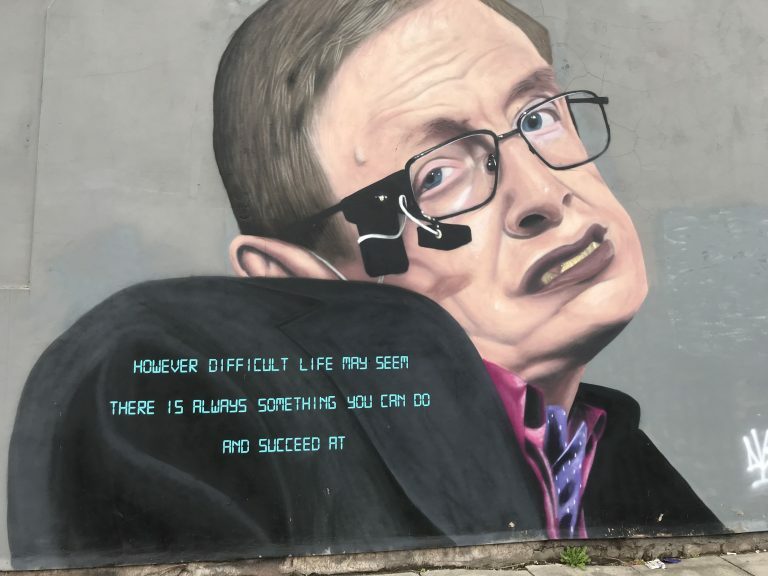 The Baltic Triangle has been at the heart of that, recognised as the city’s creative and digital district and now home to the city’s street art movement. Recognisable for its warehouses and industrial buildings, the area is marked by its past connections to the docks of the city, named possibly after its trade with Scandinavian countries around the Baltic Sea. Once derelict buildings and warehouses are now a place of celebration and creativity; a mark on Liverpool’s history and evolution. These buildings have a secret history with many interesting stories to tell, which have now been given a new lease of life through the art on their walls. The new Abbey Road mural is fast becoming the next big Instagram spot in Liverpool, known as “Liverpool’s Banksy”, Paul Curtis was commissioned to do this by the Beatles Story for the 50th anniversary of the album this year. 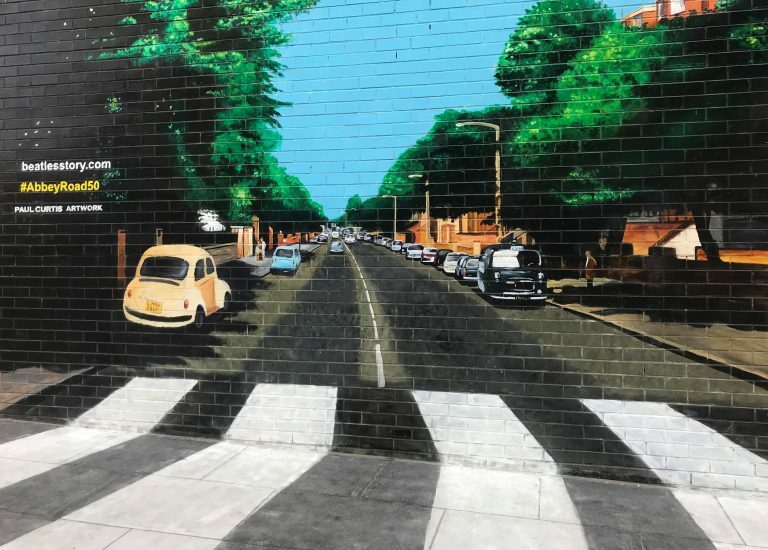 The interactive artwork is inspired by the album cover and the famous scene of the London-based zebra crossing used by the band. Paul hopes people will recreate the famous crossing scene and share the pictures online. 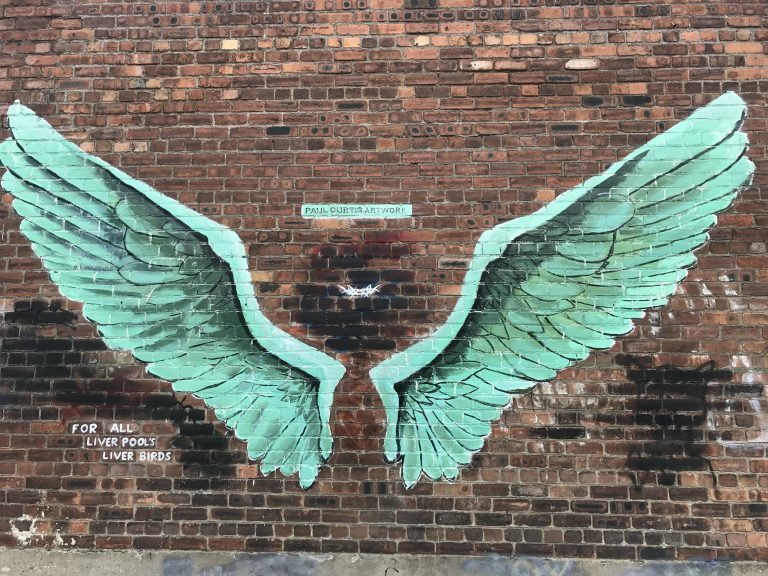 The stunning spray-painted mural again made by Paul Curtis, features two huge Liver Bird wings in copper-oxide green and a gap in the middle for people to stand in and pose for pictures. People have been taking the opportunity to transform themselves into one of Liverpool’s most famous landmarks since the wings went up in August 2017 with even Camilla, Duchess of Cornwall, joining in. 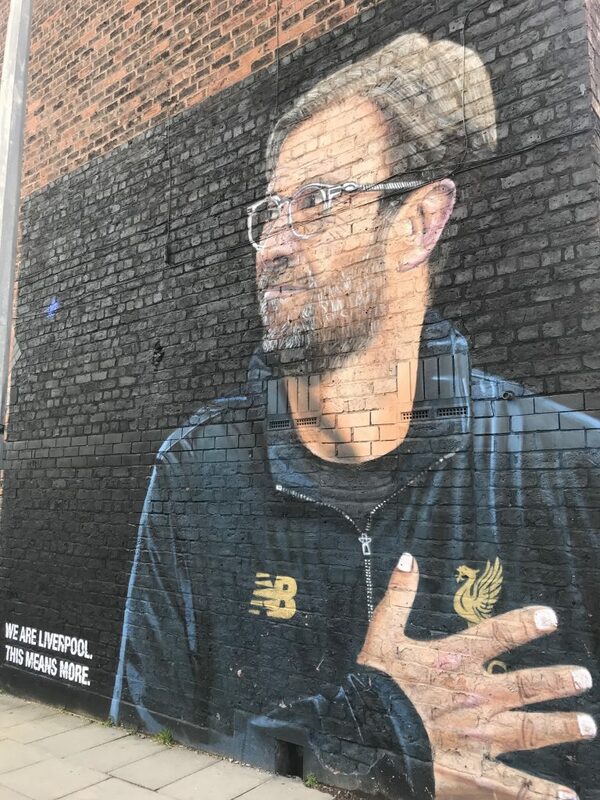 The mural of the Liverpool Football Club Boss was created by artist Aske over a two day period in December 2018, especially for the fans to enjoy after their impressive 2017-2018 season. The Baltic Triangle has become a hub for not only creatives but for lively football screenings too, making it’s a fitting place for this piece of street art. Created in August 2017 and a little on the controversial side, this Banksy style piece makes a dig at the number of original Banksy’s that were removed in 2013 around Liverpool and sold to private collections. Many believe that the street art could have been created by the anonymous artist himself, but who knows! If you’d like to become part of the Baltic Triangle community, we currently have office space available to rent. To find out more about joining the 54 St James Street community, please click here or contact venue@thewo.co.uk for further information.